It gets hot here in LA, and on a 105 degree day, the last thing I want to do is fire up all my burners, crank my oven, and make my apartment even toastier. So what do I do? I make a ton of salads. Sure, some of these require a little bit of burner usage, but turning on one burner to boil water for pasta or cook a piece of chicken is nothing compared to throwing together an involved meal. . Ready to get your summer salads on? Break out your salad bowls and dressing bottles. We’re gonna do this thing! 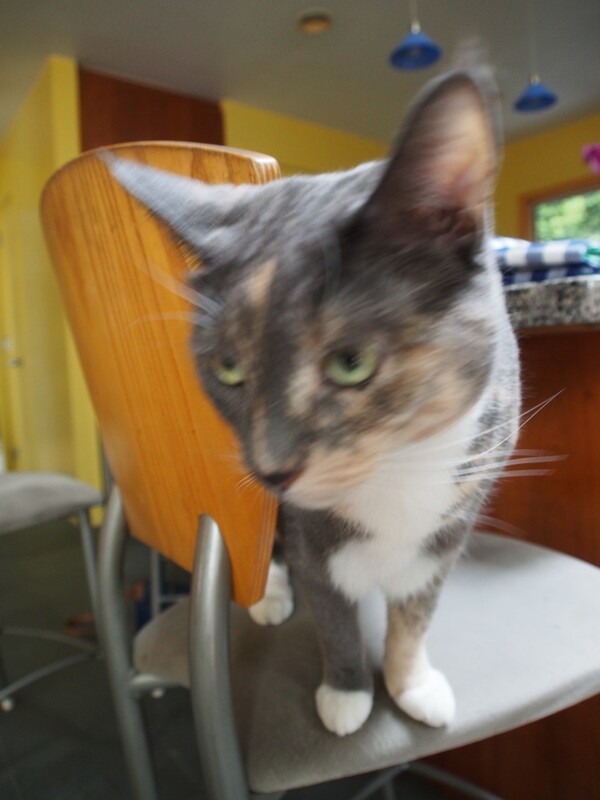 First up, let’s talk about the green salad. Sure, it’s a great way to eat your veggies, but the humble green salad gets a little boring.? 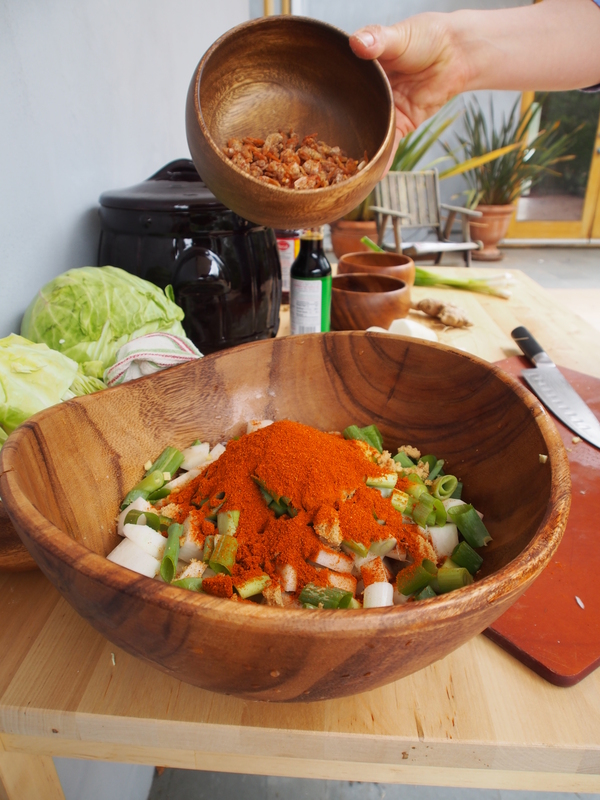 Here are my top 10 tips for spicing up a green salad. Right before serving, salt your salad. It tempers the bitterness, wakes up the taste buds, and adds texture. Unless it’s a kale salad, dress at the last minute to avoid wilted, sad greens. 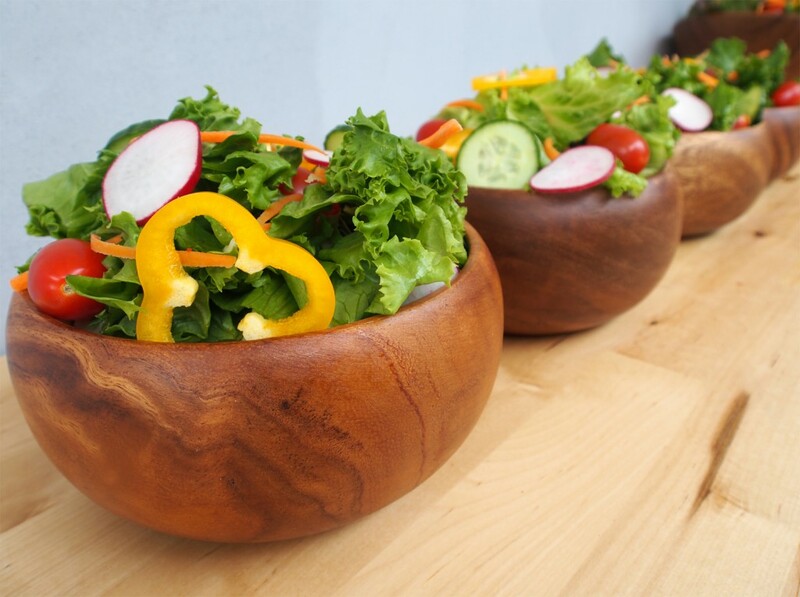 Always use a large bowl to dress salad so the salad is fluffy and crisp, not matted and soggy. Hand tear your lettuce/greens into managable pieces. Tearing avoids blackened, wilted edges and breaking your greens up means you’ll get a little something extra in every bite. Got extra fresh herbs wilting in your fridge? Add them to your salad for unexpectedly flavorful greens. Add something crunchy. A variety of textures makes a salad feel more satisfying. Consider adding croutons, nuts, carrots, crushed tortilla chips or wonton strips. Let your imagination run wild. I like pretzels instead of croutons. Add some protein (but cut it small.) Add cooked chicken, shrimp, tofu, steak, fish, or egg. But don’t put a whole chicken breast or salmon filet on that salad. Breaking it up means you get a little more with every bite. Add a hint of sweetness. Most salads benefit from a sweet kick, whether it comes from the dressing or added fruit. I often add a bit of honey to my dressing, but during the summer I just add fresh fruit to the salads. Peaches and arugula are pretty much perfect together, as are blueberries and kale, strawberries and spinach, etc. Add extras, but not too many. A simple green salad is a great thing, but adding a couple of veggies can really punch it up. Cut them small so they don’t weigh down the salad and don’t go crazy- 3-5 is more than enough to enhance your salad while still making it feel focused. Make it a full meal salad by adding whole grain. Barley, quinoa, wheatberries, wild rice and more turn a simple salad into a filling main course. Plus, they all work so well with dressing. Add brightness – A squeeze of citrus, whether it’s lemon, lime, grapefruit, or orange, really makes the flavors in a simple salad pop. Whisk citrus juice into dressing or just sprinkle it over your dressed salad. Inspired? Good. Now whip out that salad bowl, harness the power of summer produce, and make something delicious happen. Want an even heartier salad? Consider a pasta salad. Growing up, I always considered pasta salads weird, overly-mayoed side dishes for potlucks and barbecues. I avoided them at all costs. But you know what? They don’t need to be mayo heavy or even pasta heavy to be an excellent summer side dish. 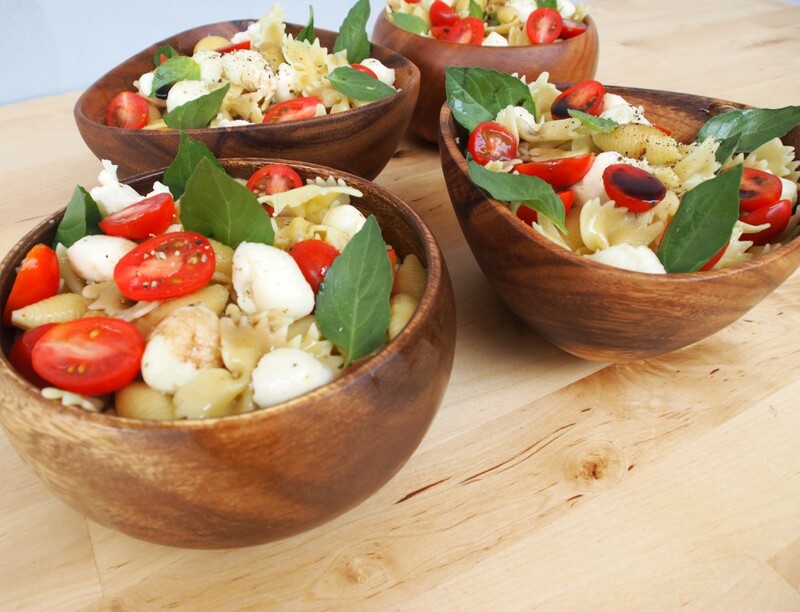 Here’s my absolute favorite of all the pasta salad recipes I’ve got: A simple caprese pasta salad. With all the ripe tomatoes gracing farmers markets and supermarkets this time of year, it’s the perfect time to make this salad. 1 lb fresh, ripe tomatoes, cut into bite sized pieces, or cherry tomatoes sliced in half. 1 large bunch basil, leaves sliced. 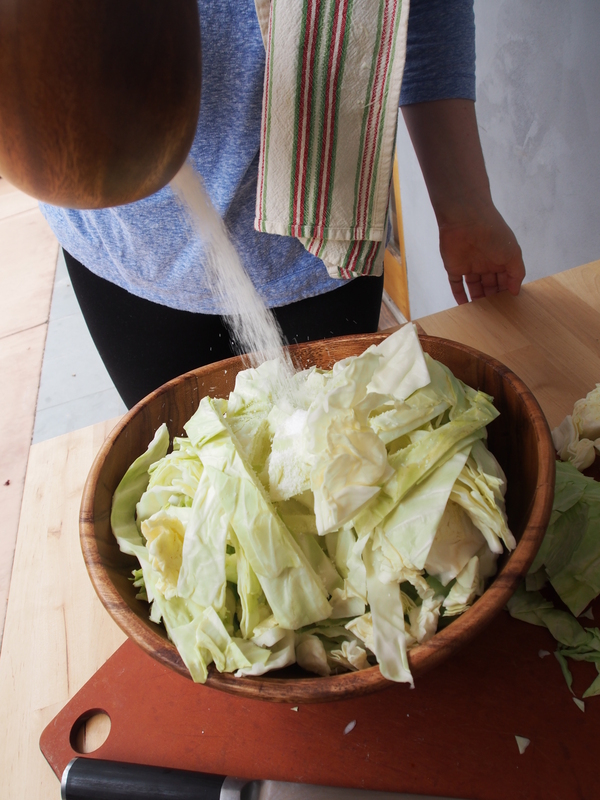 In the bottom of your large salad bowl, add the tomatoes and a healthy pinch of salt. Let sit while you make the dressing. In a jar or bottle, combine olive oil, vinegar, mustard and garlic. Shake well to combine, then add half of the dressing to the tomatoes. Add the mozzarella to the mix and toss to combine. 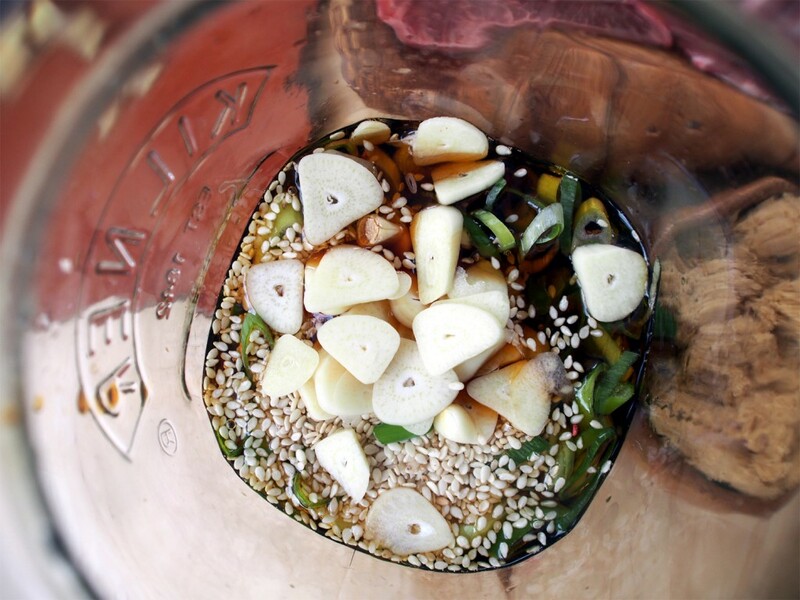 At this point, you can go ahead with the salad or let this mixture marinate for up to 1 day. When ready to serve, toss pasta and sliced basil with the tomatoes and mozzarella. Add salt, pepper, and extra dressing as needed. 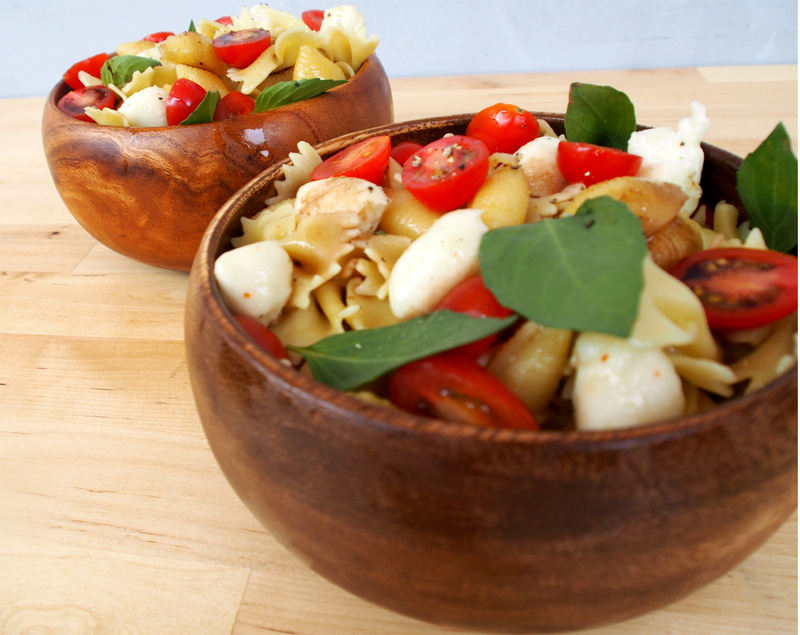 Magic – you’ve got a fresh, light summer pasta salad that’s picnic perfect. Sometimes I add steamed peas, roasted peppers, olives or capers to this salad. Sometimes I don’t. If you’ve got extra dressing, try it on a green salad. 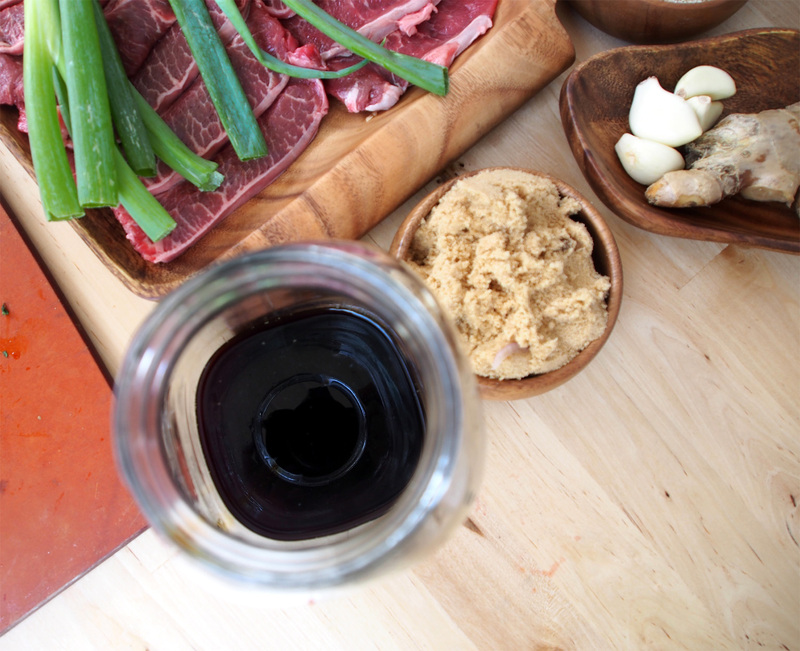 this is a killer basic balsamic vinaigrette. You’ll love it, I promise. There you have it, folks – a couple of picture perfect summertime salads that’ll remind you why vegetables are so delicious, just in time for those 4th of July barbecues and cookouts. 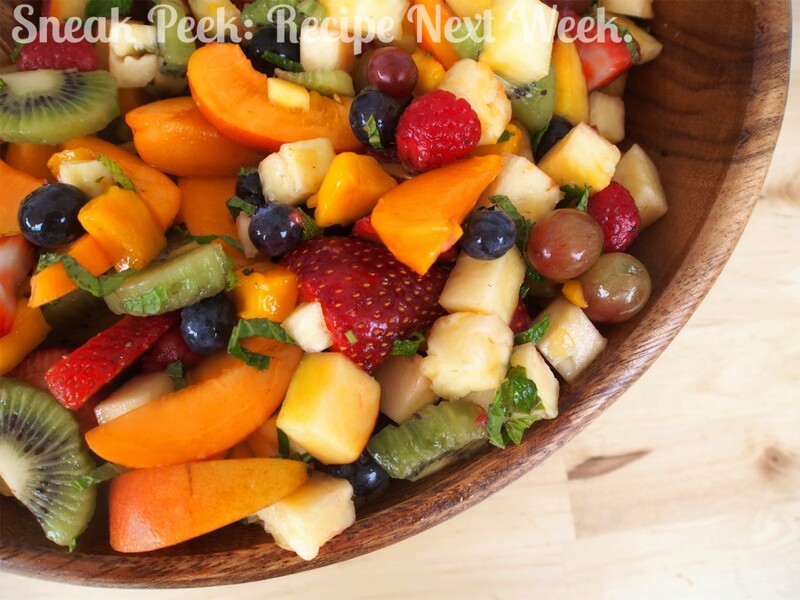 Check back next week for a fruit salad that’ll become your go-to weeknight dessert. Seriously, fresh fruit tossed with mint and raspberry sauce. Could it get any more summery? 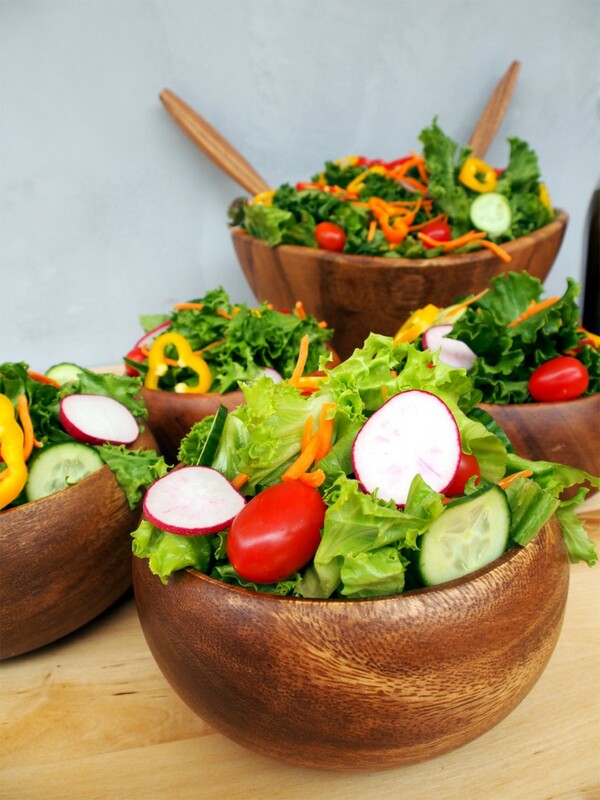 Let me know in the comments -what’s your favorite salad? We may re-post the recipe! 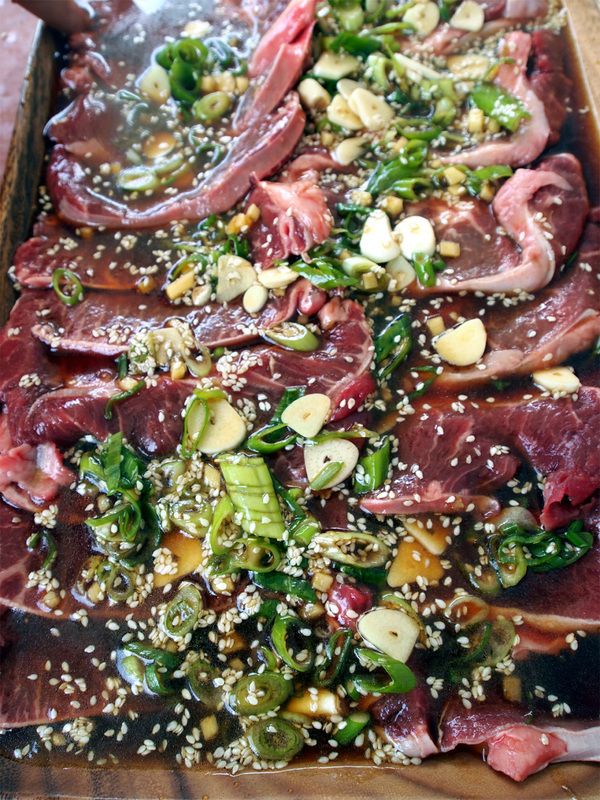 Korean Recipes: How to Make Korean Barbecue Steak and More! Last week we mentioned that we were looking for awesome Father’s Day ideas and decided that one of the best ways to honor the amazing dads in our life is to cook an amazing meal. 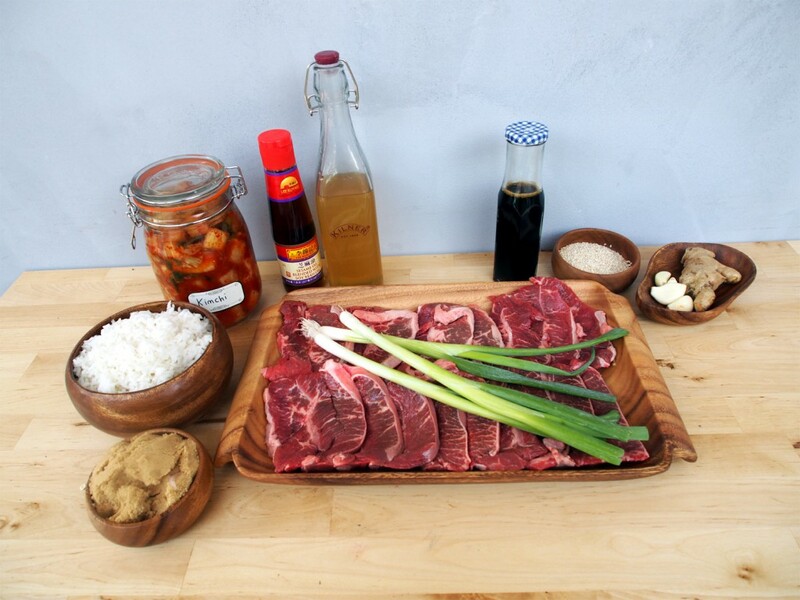 Steak for Father’s Day is pretty standard, so we figured we’d spice things up a little and make a really killer Korean barbecue recipe. 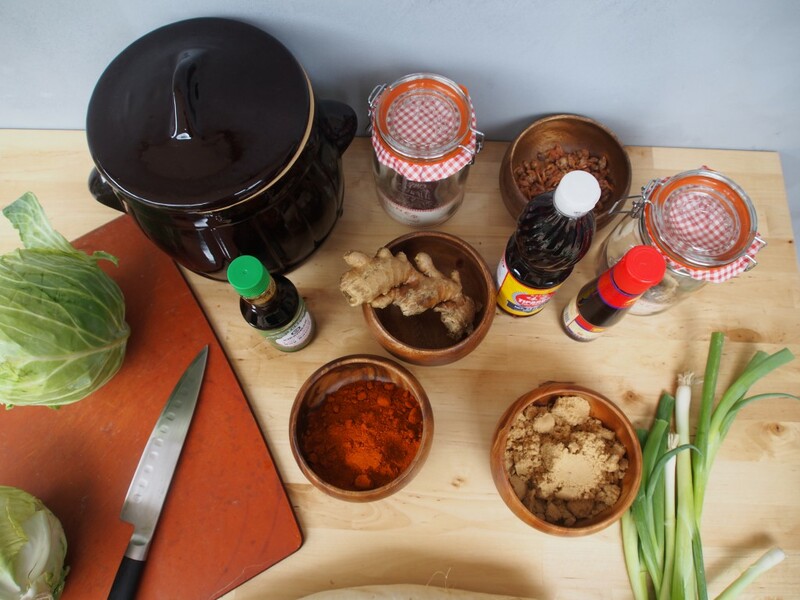 The brilliance of this marinade is that it works on anything – you can marinate chicken, beef, short ribs, pork, and even extra-firm tofu in this mixture, grill it, and you end up with culinary magic! Keep reading. Not only are we talking how to make the best Korean Barbecue Marinade, we’ll also talk about some other dishes to complement this killer steak, so you can cook your dad (or whoever) an awesome meal! From cocktails and appetizers to dessert, we’ve got you taken care of. Added bonus: With a little planning ahead (marinate your protein overnight) this is a really quick, easy dish to cook. You can make it as a quick weeknight dinner recipe or as a special occasion meal. Let’s get cooking! Combine all ingredients except for protein in a jar or a bowl and shake/mix well to combine. I used a Kilner jar and it worked like a charm. 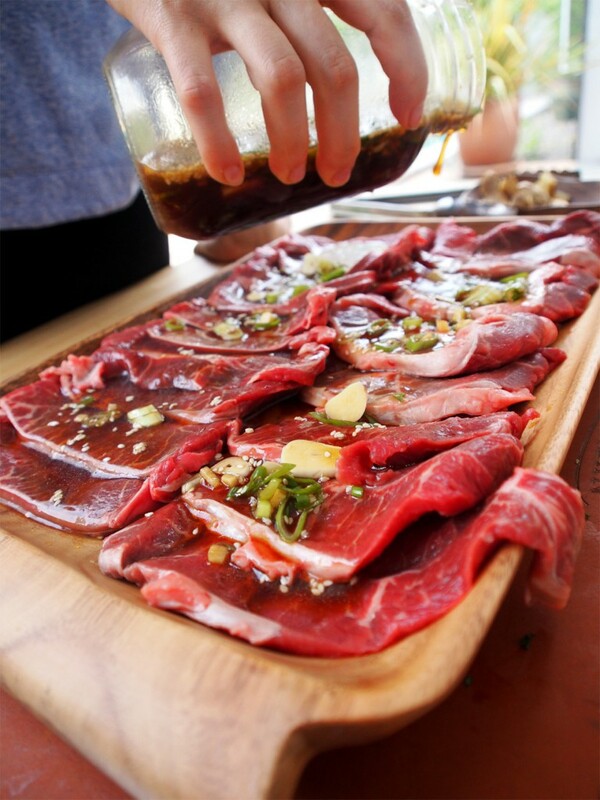 Pour marinade over the protein of your choice. I spread mine out on a serving tray for pictures, but a bowl works too. Massage with your hands to combine. Cover and set aside for at least 4 hours or as long as overnight. 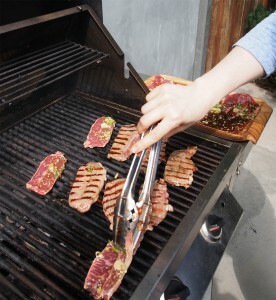 When ready to cook, preheat a grill to medium high heat. 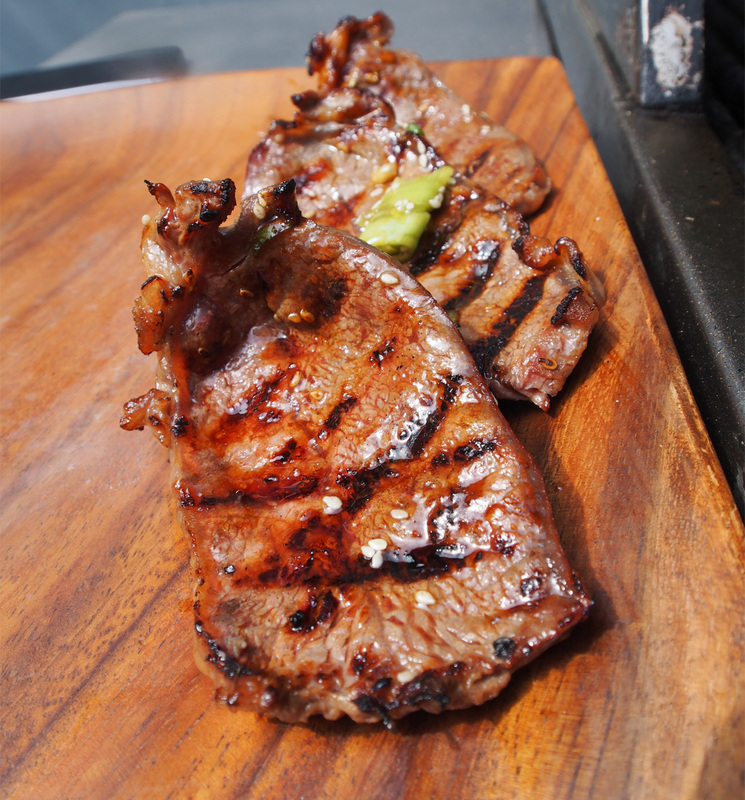 A pre-heated grill is your best friend if you want a nice char and rich flavor. Grill ingredients for 3 minutes per side. It’s honestly that simple. Nothing to it. The only hard part is figuring out what else to serve, because meat alone doesn’t make up a meal. I’m sure your dad told you to eat your veggies. Here’s our suggested menu, if you want a fancy, multi-course meal. 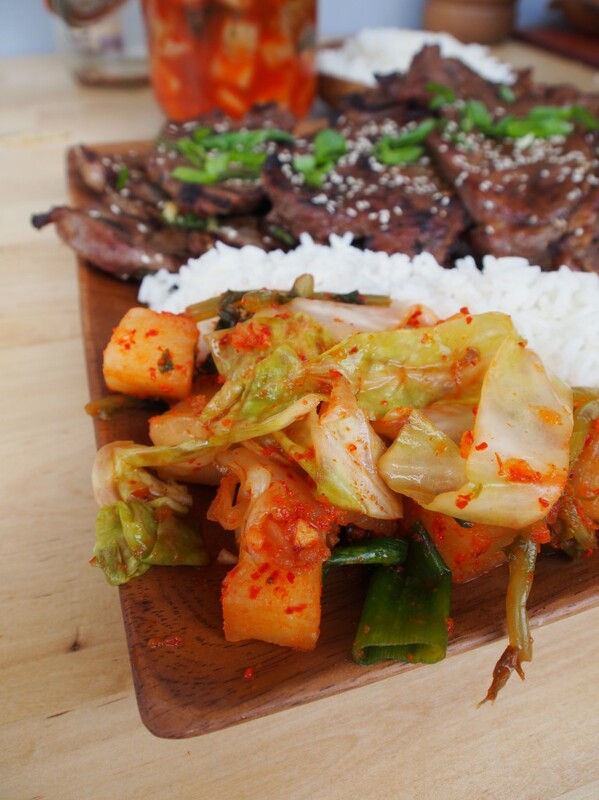 If you want it simple, you could always go the way we did and just serve kimchi, rice and meat, along with a nice green salad, or you can take it that extra step and make a highly fabulous Korean-inspired feast! Cocktail: We Love this plum-basil cocktail from Saveur. The ingredients aren’t traditionally Korean by any stretch, but the fruity, herbaceous flavors of the drink really work beautifully with our menu. Soup: Traditional at New Years, this Korean Rice Cake Soup recipe from The Kitchn is a delicious, warming vegetarian soup filled with rice cakes, herbs, and a hint of seaweed. SO comforting. 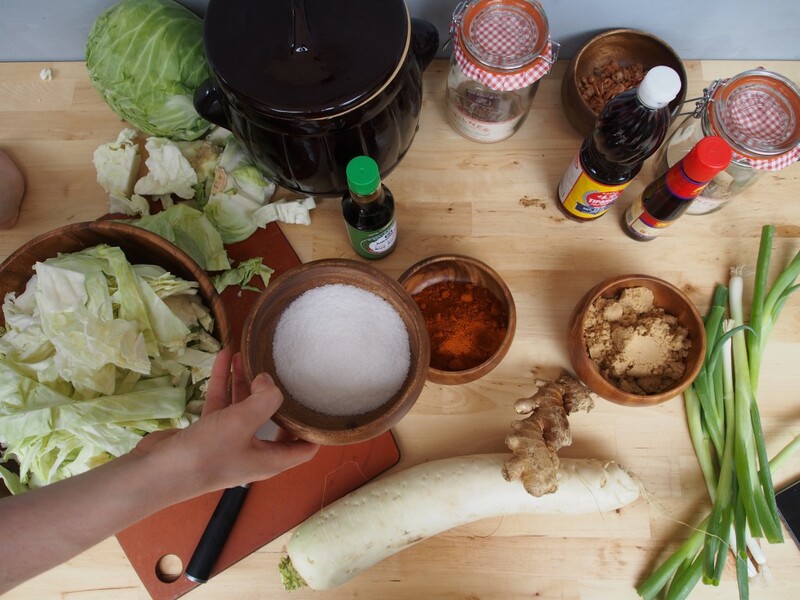 If rice cake isn’t your thing, consider their Korean noodle soup recipe. Also vegetarian, also delightful! 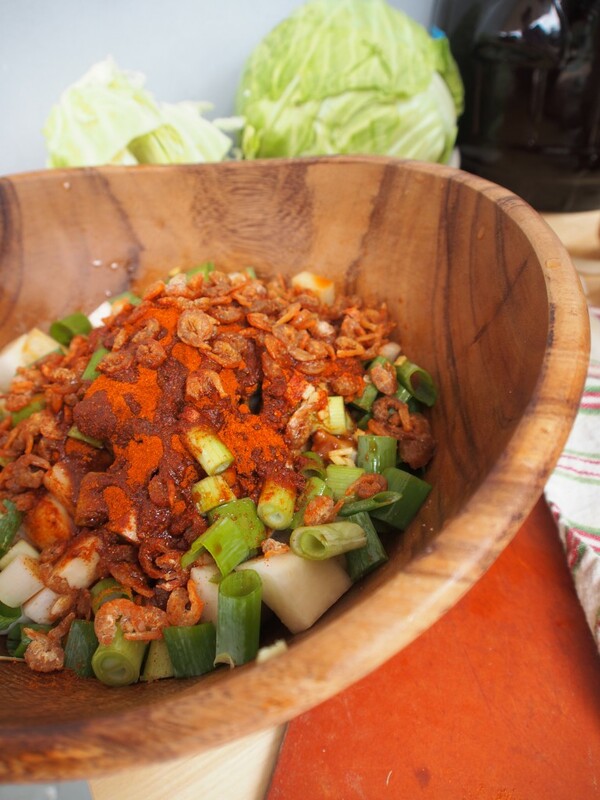 If it’s a little warm for soup, consider this awesome salad in its place: Spicy Bean Sprout Salad from Beyond Kimchee, an amazing blog with a focus on Korean food. Bookmark it. Read it. Love it. 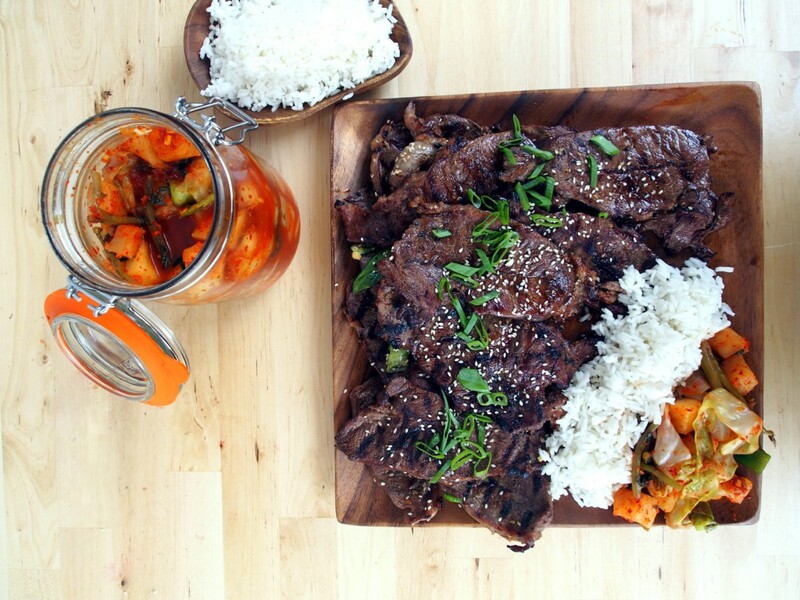 It’s pretty traditional to serve Kimchi with Korean Barbecue and (humblebrag alert) our Kimchi recipe is excellent. Give it a shot. You may like it. 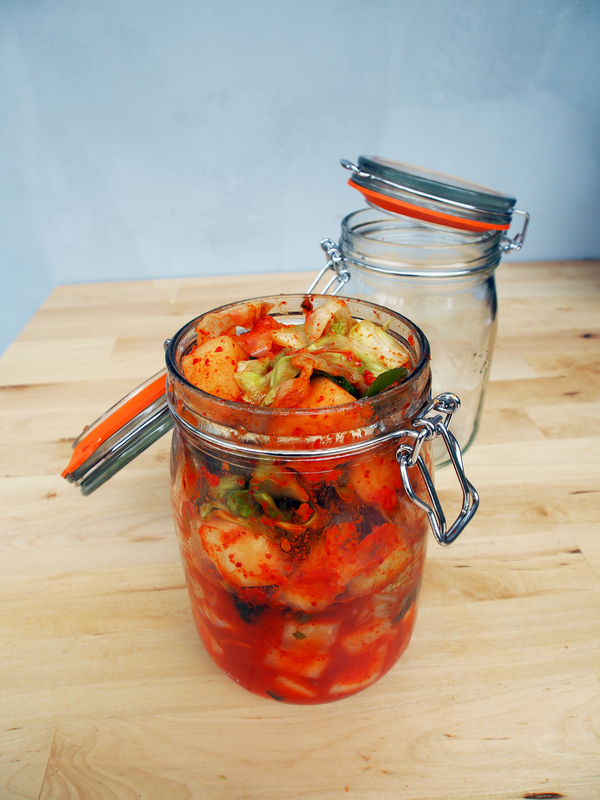 Also, check out our Kimchi Kit. Let’s move on to Dessert. Coffee and donuts are a pretty perfect pairing. We figured that tea and donuts would be equally good, and this pairing of a warm cinnamon tea (recipe from Aeri’s Kitchen) with sweet potato rice donuts (also from Beyond Kimchee) is the best way to end a meal. Soothing, comforting, and damn delicious! Whether you’re thinking about making a steak for Father’s day, looking for an epic menu, or just trying to figure out what to make for dinner tomorrow night, we hope this menu helped. I know we’re excited to have it again this Sunday, June 15 for Father’s Day! One last thing – To all the dads out there, HAPPY FATHER’S DAY (yes, we’re yelling it!) You rock. Thank you. Posted in Acaciaware, holiday, Pacific Merchants, Recipes | Comments Off on Korean Recipes: How to Make Korean Barbecue Steak and More!